Most people know about bunions—they’re those bony bumps that form on the inside of your foot when the big toe drifts toward the second. But did you know that toes can drift the other way, too? In many ways, you can think of hallux varus as the opposite of a bunion (otherwise known as hallux valgus). In this condition, the big toe drifts away from its neighbors—the foot equivalent of hitchhiker’s thumb. Although much rarer than bunions, this problem can produce similar discomfort. Aside from the most obvious symptom—the displacement of your largest digit—you may experience other issues. Most commonly, patients with this condition complain that wearing shoes is difficult due to uncomfortable friction between the misaligned toe and the inside of the toe box. However, you may also notice pain, soreness, swelling, reduced range of motion, and even difficulty walking or standing. Although this condition is quite rare, there are a few reasons you might notice a toe starting to drift. It may be the case that you have an inherited structural deformity that makes you more prone to this kind of issue—say, if you have a muscular or tendon imbalance. Often this will be diagnosed at birth, when it’s still relatively easy to fix. For those who acquire the problem later in life, traumatic injury to the muscles, ligaments, or tendons in this area may be at fault. 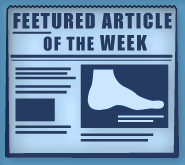 Perhaps the most common cause, though, is complication from a different operation—for example, overcorrection after a bunion surgery or removal of sesamoid bones. As with many other foot conditions, such as bunions and hammertoes, hallux varus is progressive and will not get better on its own. That’s why it’s critical to call Foot Doctor of the East Bay as soon as you notice any symptoms. If you wait until the problem becomes severe, surgery may be the only option. In the early stages, when the toe is still relative flexible, conservative methods can be effective in greatly reducing your discomfort. As this condition often results as a complication from surgery, we know you may be shy about another operation—we want to avoid one if possible! One great strategy is designing and wearing custom orthotics—shaped to your exact specifications—that support and protect your misaligned toe and deflect pressure away from sensitive areas. Toe splints, too, can help keep your digit and place and prevent it from drifting further. If necessary, we may recommend anti-inflammatory medications or steroid injections for pain and swelling. If conservative treatment options have been exhausted without success, then ultimately surgery will be necessary to correct the structural problem and alleviate your symptoms. There are a number of different possible procedures, including osteotomy (cutting and realigning bone) and tendon transfers. Dr. Michael Stein and Zeindelin Ahmad, DPM, will carefully review your case to determine the methodology most appropriate for your condition. If you notice a distinctive “V” shape beginning to form between your largest and second toes, especially if you’ve had a foot surgery in the past or if you’ve recently sustained an injury to the area, don’t hesitate—call us today at (510) 483-3390. We are the Bay Area’s experts in foot and ankle care, including rare conditions such as hallux varus, and with three convenient offices an easy drive from San Francisco, Oakland, and San Jose, we’re never far away.